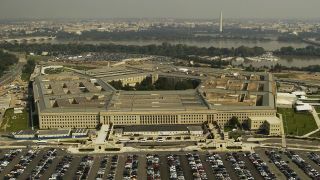 A top US general has said that it is “inexplicable” that American tech giants do not want to work with the Pentagon as they pursue business opportunities with firms in China. Google's CEO Sundar Pichai has gone on record saying that the company has invested in China for many years and plans to continue to do while also working the US government on health care and cybersecurity projects. Earlier this year, Google chose not to renew a contract with the US government in which it helped the US military analyse images from aerial drones due to employee backlash over the moral implications of the project. The defense program, called Project Maven, created a rift within the company as its employees did not condone the technology they worked to build being used for war. At the same time, Google is also developing a censored version of its search engine for the Chinese market which it has said is experimental and far from a public release. Lawmakers, employees and human rights activists have heavily criticized the company for not trying to stand up to the Chinese government policies which censor politically sensitive issues from being shown to its populace.